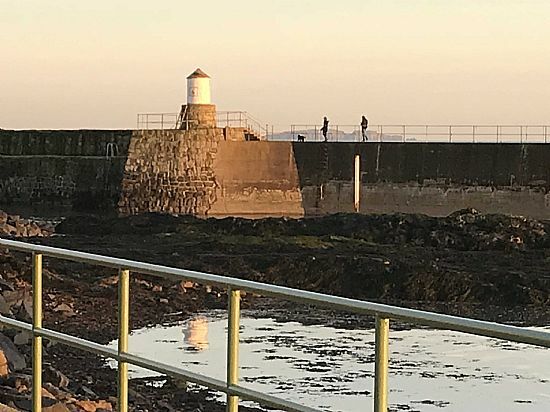 Pittenweem lies in the beautiful East Neuk of Fife - the area of the coast with its villages of Crail, Anstruther, Pittenweem, St Monans, Elie, and Lower Largo. 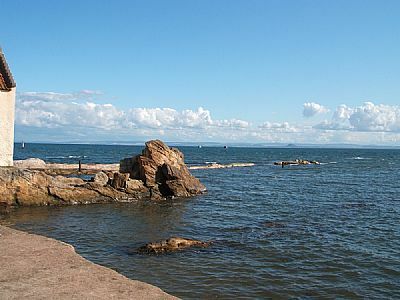 From Pittenweem harbour, go westwards past the fishing boats, to a footpath by the beach, facing south over a sparkling sea. 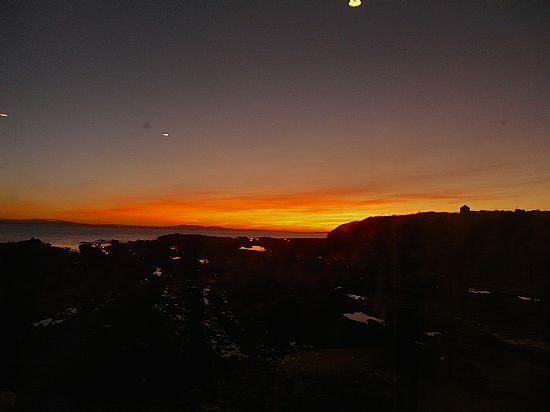 It's a peaceful spot with views across the Forth to the Bass Rock. 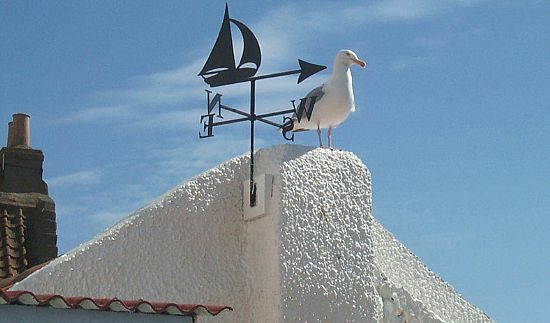 There is nothing better than a quiet seat by the sea wall, with birds and sea-life to watch, including occasional seals. 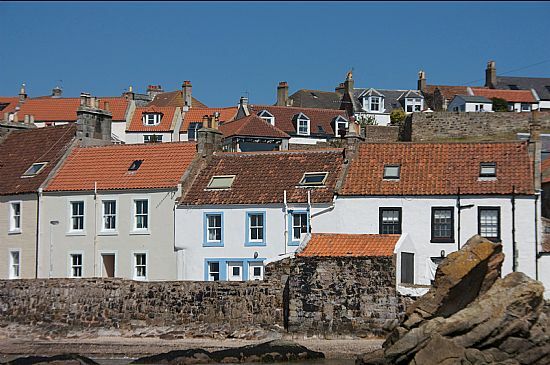 "Seascape" was a 17th century fisherman’s cottage right on the shore in Pittenweem.